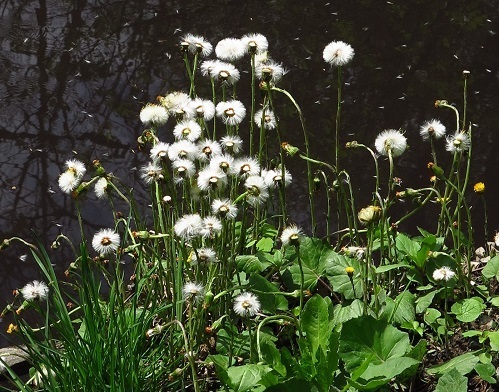 ​Flower heads close at night and opens when warmed by the sun. ​​The disk flowers are male, producing pollen and nectar; the ray flowers have female parts. 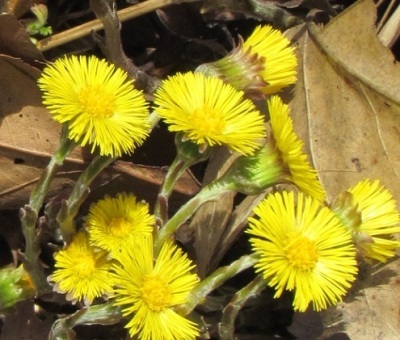 Pollinated by bees; can also self-pollinate. 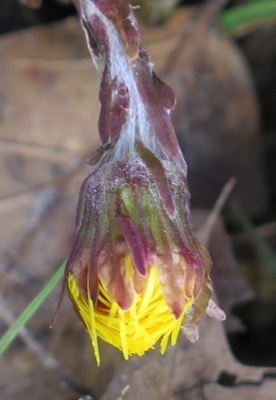 After it has been pollinated, flower head closes and droops. 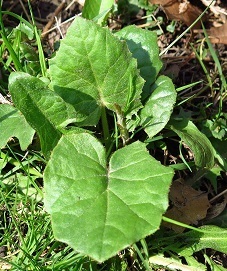 Common name pertains to the shape of the leaves (10-20 cm wide) which appear after flowers have bloomed. 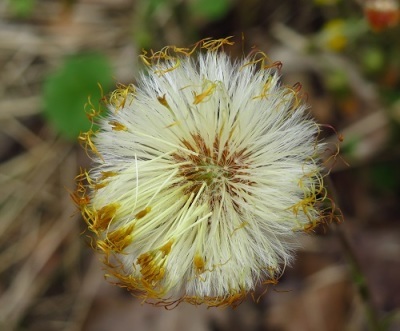 Seed-head is fuzzy; seeds are dispersed by wind. ​Plant can also spread by underground runners.